Pregnancy doesn’t make a woman feel unsafe; it makes her feel splendid and beautiful. While being pregnant can highlight the natural glow of the skin, the glimmer shine of the hair and make you energetic, it also comes with some small problems. If you worry about stretch mark, varicose vein and weight gain, there’re several things you can do to make yourself beautiful during pregnancy. Pregnancy doesn’t make a woman feel unsafe; it makes her feel splendid and beautiful. 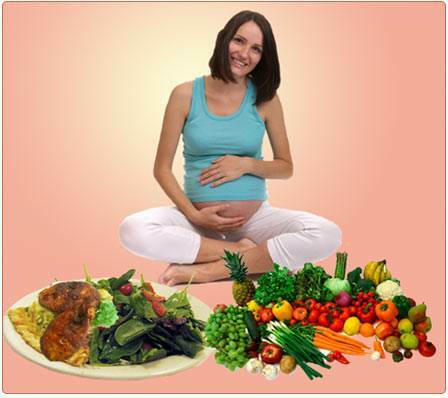 · Keep your hair nice and the fetus healthy by not dyeing your hair in pregnancy. Throughout the 9 months of pregnancy, your hair will grow at unbelievable speed and will shine like you’ve never seen before, so take the chance to be completely natural. If you realize that your hair is too oily or dry, choose completely natural hair conditioner, or even better, make it yourself. · Deal with melasma by making a home-made skin mask from fruits. Melasma causes dark circles around your eyes, especially with the exposure to the sun, but orange is a natural sunscreen; apple and strawberry can whiten the skin. · Treat acnes in pregnancy with fresh lemon, a natural astringent that will clear the acnes and blackheads without the affection from the harsh chemicals from the acne treatment which can be bought from the stores. You just need to rub a half of a lemon on the affected areas and leave it there for about 15 minutes before cleaning it with warm water and tap gently so that your skin will be dry. · Avoid stretch marks and varicose vein by putting a mixture made from one portion of vitamin E oil and one portion of almond oil and massage it all over your skin. You should start massaging yourself with these natural oils as soon as you can to increase the elasticity and healing property of the skin. · Prevent varicose vein by keeping your feet high whens sitting or sleeping. · Maintain a healthy diet that contains lots of fruits and vegetables as well as orange juice and water. The most important part of the natural therapy is the healthy diet which ensures you’re your body as well as your baby’s get all the essential vitamins and minerals to keep the balance and strength. Maintain a healthy diet that contains lots of fruits and vegetables as well as orange juice and water. · Do exercise regularly, though it’s gentle exercise such as walking, swimming, yoga or Pilates. Doing exercise regularly will help to firm up your muscles, make your body flexible and will also keep the baby from having excess weight. Doing exercise also gives you energy and strength in pregnancy, making you always look beautiful.